Everybody always talks ONLY about how great it is to visit Angkor Wat. And one thing is of course absolutely clear: There are countless reasons to do exactly that. 1. Totally boring sunrise – endless waiting for the sun and when it finally arrives there are no special effects at all. 2. Zero service: Although you pay the entrance fee, you walk around on the huge grounds of Angkor Wat. All this because neither cars nor motorbikes nor even bicycles are allowed. 3. Dangerous wild animals that are free to roam around and do their mischief with us poor tourists. 4. Totally unbearable architecture with all those scratched walls and then these figures just standing around. 5. Scantily clad ladies at every step. 6. You can’t rest in a shadow anywhere, while the heat is brooding. 7. Wherever you look there are stones lying around – it’s about time somebody is going to clean up. 8. Always and everywhere masses of tourists, who constantly run into the picture. 9. There’s nothing to eat or drink at all. 10. And then there’s all these guys hanging around with their orange clothes. Well, I assume that I was able to convince you that the visit of Angkor Wat is not worth it at all, right? 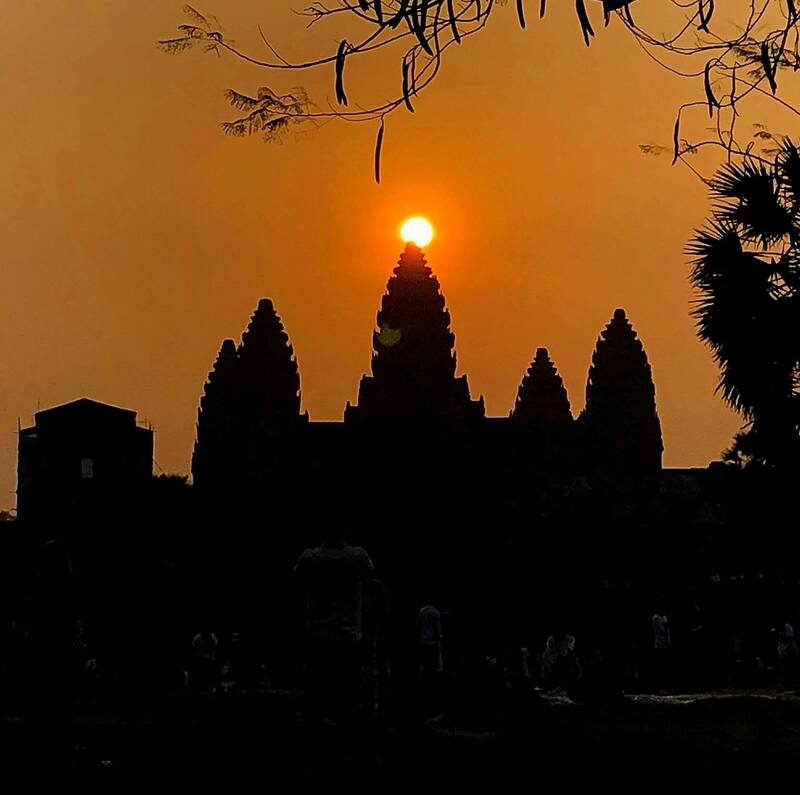 Previous ArticleAngkor Wat & Angkor Park: Info, prices, tips & more!